SCHOOL OF ROARS has been nominated for a Broadcast Award for ‘Best Pre-school programme’. The acclaimed preschool animation series SCHOOL OF ROARS has been nominated for a Broadcast Award for ‘Best Pre-school programme’. The Award which has seen winners such as the Clangers and Rastermouse is held at a Ceremony to be held at The Grosvenor Hotel in London on 7 February 2018. School of Roars, which was presented at Brand Licensing Europe and MIPCOM for the first time this year has already had an exciting start to it’s licensing program. The 2-D animated comedy that began on CBeebies on 6th February 2017, is created by Dot To Dot Productions and animated at Dot To Dot’s in-house studio in Chiswick. ZDF Enterprises are distributing the series worldwide and have also confirmed Sprout as the broadcast partner for the USA. Sprout launched in August 2017. The series helps children prepare for school life by seeing relationships and experiences through the eyes of 5 mini monsters. Because they’re monsters, the little heroes go to school at night, led by their lovely teacher Miss Grizzlesniff. The class learn monstery lessons, like counting the legs of spiders in maths, how to howl at the moon in music, or making delicious Blushberry Blob Cakes in cookery. Through their adventures they experience life-lessons – caring, sharing, friendship and fun – mirroring the social and emotional behaviour and group dynamics of the audience. The series features the superb voice talent of national treasures Kathy Burke, who plays kind teacher Miss Grizzlesniff, Sarah Lancashire the quirky Headmonstress and Andrew Scott, the comical cookery teacher. SCHOOL OF ROARS will be supported by strong interactive elements including games apps, story apps and a website. http://lislelicensing.com/wp-content/uploads/2017/07/Spacer.png 20 300 Nathan Parks http://lislelicensing.com/wp-content/uploads/2017/07/lisle-licensing-logo.png Nathan Parks2017-12-18 16:50:262018-02-27 16:34:42SCHOOL OF ROARS has been nominated for a Broadcast Award for 'Best Pre-school programme'. Giochi Preziosi’s licensing division is delighted to report a successful start to the licensing programme for its new property, Glimmies. Since the launch of the toy range in Europe earlier this year, excellent sales have been recorded while several categories have been confirmed as licensing partners for the UK. The Glimmies toy line launched in early 2017 and a global retail sales value of €45 million euro has been estimated for its debut year with a total of 10 million pieces sold by the end of the year. Early 2017 also saw a licensing programme getting underway with Lisle Licensing being signed as the UK and Ireland licensing agent, and partners are now on board from across publishing, apparel and magazine sectors, which all begins in AW17 with the release of new merchandise. Designed to shine brightly in the dark, Flair believes its latest collectable brand Glimmies will be the next big brand on the market that will appeal to younger fans looking for their next collectable craze. It’s with ‘high hopes’ that Flair brings its latest collectables brand, in the form of Glimmies, to the toy scene. Showcased at London Toy Fair in January, Flair believes that the magical characters that shine in the dark have the potential to be the next big collectable brand, tapping into a new generation of young consumers who enjoy collecting toys. The new-look Alvinnn! 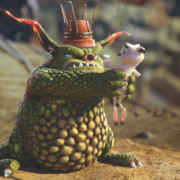 and the Chipmunks CG animation has welcomed a number of new licensees to its portfolio. Lisle Licensing has secured Igloo Books for publishing and Aykroyds and TDP for underwear, swimwear and nightwear. The all-new and already top-rated CG-animated show is green-lighted for four seasons, a total of 104 half-hour episodes, and is currently airing on SPTN’s kid’s channel Pop (Free TV) and Nick Jr. (Pay TV), with Studio Canal handling the DVD rights and both Netflix and BT running the show on their SVOD platforms. Lisle International, UK and Eire licensing Agent for Studio Pets by Myrna has confirmed a Direct to Retail partnership with gift and greetings retailer Clintons. Studio Pets By Myrna is the “brain-puppy” of fashion photographer Myrna Huijing. Myrna’s love for animals and photography is combined in fun, fashion-forward designer products such as greeting cards, calendars, stationery, toy, fashion and more. Studio Pets are cute baby animals photographed in adorable settings, with stylish props and stunning graphics. With hundreds of images to choose from, Studio Pets have inspired many successful merchandise collections around the world. This hugely creative brand was recently subject to a worldwide deal with Claire’s for a whole portfolio of products that will heighten awareness on a global scale. 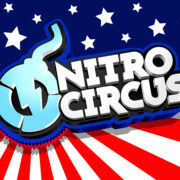 Nitro Circus www.nitrocircus.com, the world’s leading action sports entertainment brand, has partnered with fashion retailer Blue Inc to launch an exclusive fashion line in the UK & Eire. The range will launch in stores this summer to coincide with the summer tour that is taking place across the country and will be supported with meet and greets at Blue Inc locations from some of the Nitro Circus athletes. Peter Maule, Global Head of Licensing for Nitro Circus, “We are thrilled to partner with Blue Inc as we bring the Nitro Circus brand to UK retail for this first time. Blue Inc’s success in men’s, women’s and under 14’s fashion is a perfect fit for our fans.